How I became a conspiracy thinker? My world was much easier and simple before I walked the path of discoveries, but I wouldn't have mist it because I definitely make other decisions now! "Skeptics" or "conspiracy theorists" claim to have critical thinking skills, each one has a key flaw. For skeptics, the problem is that they look at an issue through the lens of "this isn't true- let's find evidence to support that." Any time you search for support of your own arguments, you fail to think critically. Similarly, a conspiracy theorist looks at a situation and wonders: who is trying to cover something up. Let's see if you see what I see? From the end of 1999 till 2006 I was involved in a network marketing company (nutritional supplements) and traveled nine times to the US during that time. This is where I learned from a Houston based laboratory SpectraCell, who did intracellular vitamin analysis. Interested in the subject I started reading the report published in the JANA journal about 89.747 persons tested, where 75 percent was found to be deficient in nutrition! Even better was the a Study Conducted by Dorothy Merritt, M.D. who tested over 500 patients in her private clinic and some of the results were very promising; Medication use was cut back between 68 and 81 percent and the running costs of the clinic went 50 percent down. And the best part: Patients are exhibiting increased quality of life and are generally pleased with the outcome. Wandering about these test results, mostly done by people with a more then average health awareness, what would the test shown with people on a less healthy lifestyle? Back in the Netherlands after a year of hard thinking I decided to become an independent rep for the lab. Calling doctors, lifestyle magazine, newspapers, radio and TV health programs for more then a year, … fulltime! No results, no interest, thinking; what am I doing wrong? Back in de States I found the answer reading the book; "Natural Cures They Don't Want You To Know About". It answered my most important question; can money and profits be more important then health? YES! Another question was answered there: Are the media controlled by the pharmaceutical, and other companies with their advertisement budgets? YES! Astonishing but I still didn't think about a thing called conspiracy. On the other side, I was more open minded to start reading about 9/11 and many other things I stumbled upon later. I was asked to write about things like the German New Medicine, a suppressed cure for cancer, like there are so many others not know and told about by the Lame Stream Media. Now more then ten years down the road, there are so many websites that look into these conspiracy matters and come up with facts, dates, videos and documents. I found many partners to spare with to find the, sometimes-thin line, of fiction and facts and to discover in other occasions the overwhelming evidence. Do you need prove about conspiracies going on? Do you find it normal that our food chain contains more the 10.000 chemicals? Do you find it normal that most 'natural' foods are produced with artificial fertilizers and use Genetically Modified Seeds what gives companies like Monsanto Total control over the food chain? Do you find it normal that doctors are using chemical medications that create a war inside your body instead of natural proven cures and working within strict regulations ore face court? Do you find it normal you see Chemtrails in the sky that stop exactly at our border so you can't call them contrails anymore? 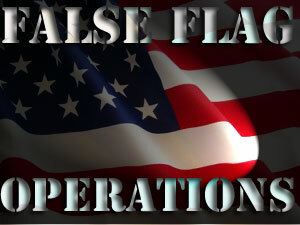 Do you find it normal that after world war two, that would ended all wars, we've seen about 200 coups, wars and 'peace missions' some of them started with a false flag operation as we now discovered? Do you think I find it normal that those books like "Confessions of an Economic Hit Man" defining how countries and their population are turned into slave states and slave workforces over the past 30 years aren't still being read by the mass? Do you think I find it very strange that this process is NOW going on in the whole of Europe and most people don't know about? Would you vote for me when you had solid evidence I stole something from you? When the FED is printing money out of the bleu like they did in de US (2.400 billion over the last 2,5 year) it will make every currency value in the world evaporate. Why do you vote for any government that even doesn't mention it as a problem while mine and your savings and pension funds go down the drain? And there's much more that keeps me wandering. When someone calls me a conspiracy thinker for whatever reason? ….. I think; you better wake up fast. Some things I can't handle myself and we need to join forces. But on other things I'm way ahead. My health is among the best, the very best. I know for a fact because I have this energetically checked every year. I started to produce my own food. I have resolved my dept because everyone on dept is vulnerable in the developing global crisis. No accidental crisis but made by design to come to an overall global government and it won't be a democratic one. I woke up more then ten years ago and it took me a long time to get used to the idea that the world is not what you see and it's going on for centuries. Giving the one percent power over the ninety nine percent. It wasn't a huge problem is they were giving each a fair share of the wealth, and all the earth and nature is offering in abundance. There's no need for anybody to be hungry and the earth can produce biological foods for at least five times more people then living on this world now. It can produce free clean energy witch is hidden from us for over 100 years. Do you want to live in a world full of power and control, deception, greed, ….. ? Whether you believe it or not, it's in full progress for years, and to me it's hundred percent clear that in your circle of friends and family there are victims without even knowing. It's scary even thinking about it. The world today is controlled, by creating fear and disasters on demand. A silent war against humanity, against you and me. Think weather control, think about brainwash techniques trough the media and Chemtrails, earthquakes, floods, Fukushima and more. You can close your eyes for it, not wanting to know. Or you can take action like many are doing now over the past few months' since September 2011. The one percent is feeling their forces and power fading. They need the help of Google to ban some movies, to ban keywords like the one's I use to get my protest song promoted. These are all signs of weakness from a dictator regime! Will you stand up, unite and say no to war, hunger, poverty, and the basic right for all, Freedom? Here you'll read a further explanation on the start of conspiracy thinking.